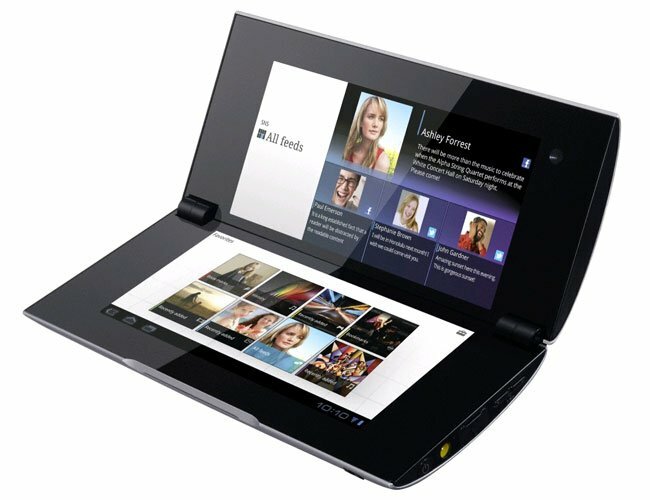 Sony’s new S2 tablet will be arriving as an exclusive with AT&T in the US its been announced today. The new S2 tablet is Sony’s new dual screen, foldable tablet which will be arriving later this year, and was first showcased back in April this year. The Sony S2 tablet is equipped with a dual 5.5-inches displays with a resolution of 1024 × 480 which then unfold to combine and create one large screen and will be powered by a dual-core NVIDIA Tegra 2 processor and run Android 3.0 Honeycomb. AT&T will be offering monthly data plans that will support AT&T’s HSPA+ 4G network, while providing access to AT&T’s 20,000+ hot spots nationwide, more information on distribution and pricing will be revealed on the S2 launch.